You are looking to utilize global financial services - A second passport will allow you to enjoy more international financial options. You don't want to be held back by a lost or stolen passport- Sometimes while traveling abroad, you might lose or misplace your passport. This can be quite stressful, especially since applying for an emergency passport might be tricky. With a second passport, however, you will still be in a position to enjoy traveling to those countries that accept your other passport. Although you will still need to report and replace the missing passport, a second one will keep you afloat and not interfere with your schedule or travel plans. You want to avoid rigorous visa application process- Getting a visa is quite a frustrating undertaking. Not only is it time-consuming but also expensive. With a second passport you can have unrestricted entry to many countries even without a visa. Your home government is restricting your travel plans- Sometimes you might have a business that requires you to travel to a lot of different countries. If your government restricts its citizens from traveling, this could be detrimental to the success of your business. However, if you have a second passport you will not have that problem. You wish to renounce your citizenship - If for some reason you feel that your home country has become inhabitable, getting a second passport is the ideal first step to take. Having a Vanuatu second passport brings with it a myriad of benefits. A Vanuatu second passport will allow you entry to more than 120 countries. You will rarely be questioned or delayed at airports because of issues with your travel documents. Having this passport also means that you can enjoy staying in any Schengen country for up to 90 days or 6 months every year in the United Kingdom even without a visa. Vanuatu has some of the most favorable tax laws in the world. This makes it a perfect destination for investors and business people seeking to enjoy tax-free businesses. For example, your capital gains, global income, and inheritance will not be taxed at all. 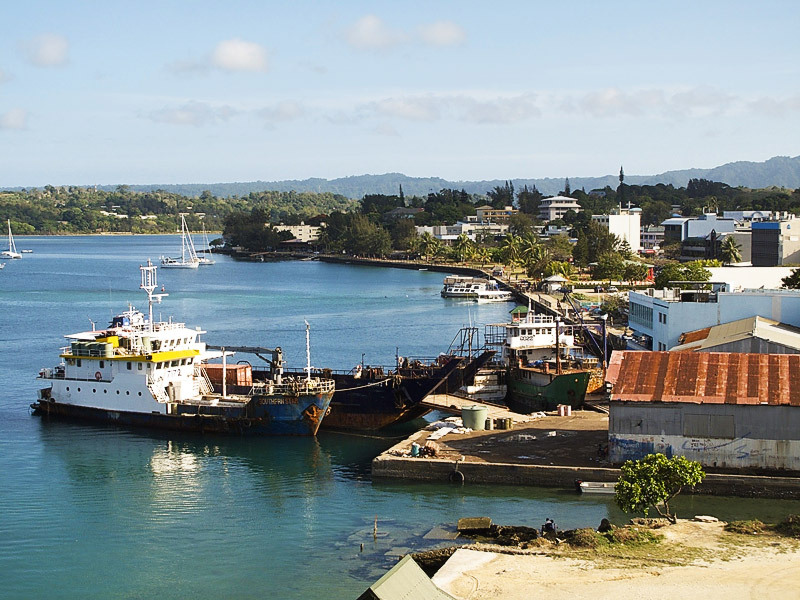 The World Bank rates Vanuatu among the top 100 countries that provide the most favorable environments for business operations. If you apply for a second Vanuatu passport, your home country will not be informed of the application. This means that you can have dual citizenship without the knowledge of the nation of first citizenship. The process of acquiring a Vanuatu second passport is quite painless and transparent. For instance, you will be required to pay only 25% of the total application fees before submitting your documents. You pay the remaining percentage after your application has been approved. After your application has been approved and you get the passport, you and your dependents will be granted lifetime citizenship in Vanuatu. The passport will, however, be valid for five years, after which you might apply for another five-year extension. The application process does not necessitate that you be personally present. The process is entirely handled by a licensed agent who must also be approved by the government. Vanuatu is a low profile country which is ideal for providing the much-needed privacy. If you are a public figure and would like to evade public attention for some time, Vanuatu is the perfect place. What is required to get a Vanuatu Second Passport? Although residency by investment policies in Vanuatu have become more rigorous, it is still possible. In the past, you could invest as low as five million vatu (around $50,000) and enjoy residency for a year, with an optional renewal. However, nowadays you will be required to invest at least $130,000 in obtaining residency and citizenship. As an investor, you are also allowed to list dependents such as your wife and children when applying. One enviable thing about this program is the fast response you get. Typically, you will receive a response to your application within a month. The first citizenship by investment program dubbed the Vanuatu Economic Rehabilitation program has since been replaced by a more lenient one called the Development Support Program. When you become a citizen by investment, you will still enjoy all the benefits regular citizens enjoy. You can also become a Vanuatu resident by simply proving that you have a steady stream of income, even if you are not an investor. In this case, you will be required to apply for citizenship as a "self-funded resident." To be eligible for this option, a bank in Vanuatu will first have to verify that you are in a position to deposit 250, 000 vatu or an equivalent of about US$2,250 each month. However, if you have a spouse or reside with a partner, the amount will double. This is the perfect alternative for people looking for a post-retirement destination to enjoy their pension or business people who prefer not to enroll in the citizenship by investment program. Which countries can you travel to with a Vanuatu Second Passport? The Henley Passport Index ranks Vanuatu as the 37th country that offers admirable travel freedom. This is due to the fact that Vanuatuan citizens, including those with a second passport, have unrestricted access to more than 120 nations and territories. This freedom of movement was born after Vanuatu entered into a visa waiver agreement with Schengen Area nations and Russia on the 28th of May 2015 and 20th of September 2016 respectively. Anguilla, Antigua & Barbuda, Bahamas, Barbados, Belize, Bermuda, Bolivia*, British Virgin Islands, Cayman Islands, Costa Rica, Dominican Republic*, Ecuador, El Salvador*, Grenada, Guatemala, Guyana*, Haiti, Honduras, Jamaica, Montserrat, Nicaragua*, Panama, Peru, Saint Kitts and Nevis, Saint Lucia, St Vincent and the Grenadines, Trinidad and Tobago and Turks and Caicos Islands. Botswana, Burundi*, Cape Verde*, Comoros*, Djibouti*, Egypt*, Gambia*, Guinea – Bissau*, Kenya, Lesotho, Madagascar*, Malawi*, Mali*, Mauritania*, Mauritius*, Mozambique*, St. Helena, Seychelles*, Somalia*, Swaziland, Tanzania*, Togo*, Uganda*, Zambia and Zimbabwe. Albania, Andorra, Austria, Belgium, Bulgaria, Croatia, Cyprus, Czech Republic, Denmark, Estonia, Finland, France, Germany, Gibraltar, Greece, Kosovo, Hungary, Iceland, Ireland, Italy, Latvia, Liechtenstein, Lithiuania, Luxembourg, Macedonia, Malta, Monaco, Netherlands, Norway, Poland, Portugal, Romania, Russia, Slovakia, Slovenia, South Ossetia, Spain, Sweden, Switzerland and United Kingdom. Armenia*, Bangladesh*, Cambodia*, Dubai, Hong Kong SAR, Iran*, Israel, Jordan*, Laos*, Lebanon*, Macao SAR*, Malaysia, Maldives, Nepal*, Philippines, Singapore, South Korea (Jeju Island only), Timor-Leste* and Thailand. Cook Islands, Fiji, Kiribati, Marshall Islands*, Federated States of Micronesia, Nauru*, Niue, Palau*, Papua New Guinea*, Samoa*, Solomon Islands*, Tuvalu* and Tonga*. Our team can help you with your Vanuatu Visa requirements. Contact us and we will help you with the process.